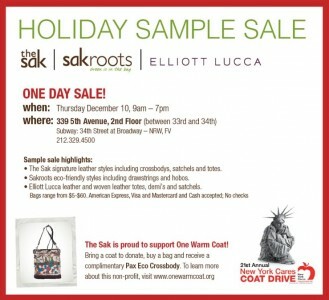 Are you in the NYC area and wondering what to do tomorrow, December 10th? Well, do we have something for you! 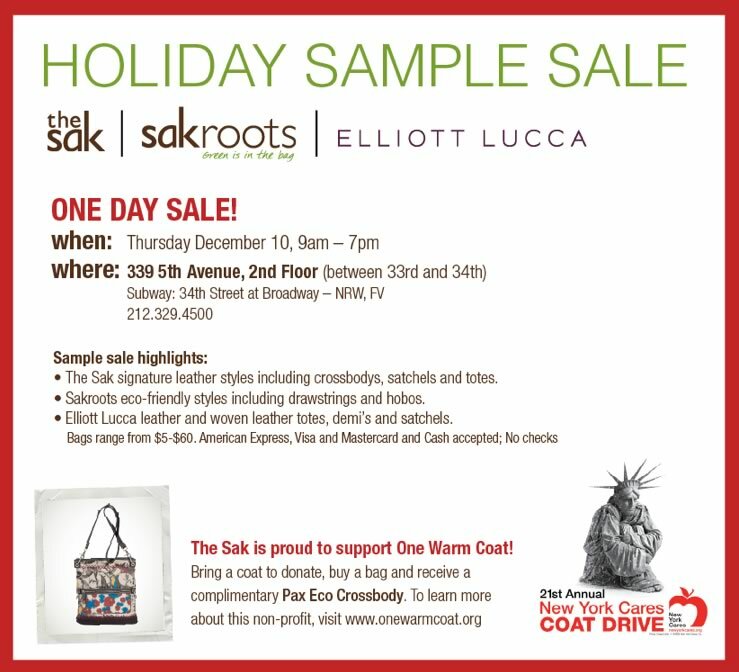 Check out the Winter Sample Sale that is being hosted by The Sak, sakroots (eco-friendly bags) and Elliot Lucca.